What’s special about Premax Original? Really simply, it’s the optimal texture. It’s firm, skin friendly, and highly effective. 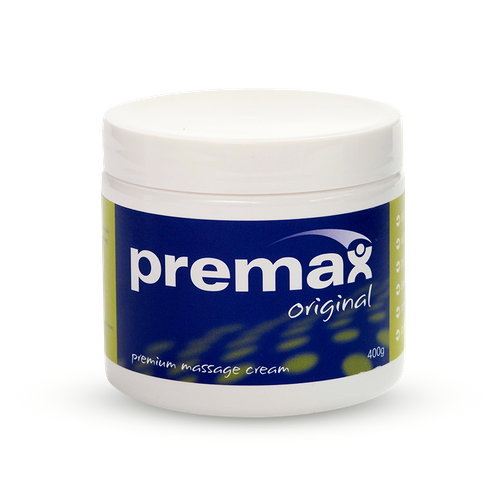 Premax Original is a market leading product for massage therapy, giving a high degree of resistance and control. If you’re a therapist, you won’t slide off your patients or athletes like you do with oils or ‘greasy’ creams whilst also optimising your tactility, pressure control, traction on soft tissues, and as a result - the effectiveness your treatment. For patients and athletes, Premax Original will leave you feeling fresh, clean and moisturised after treatment. So many massage creams and oils leave the skin feeling greasy and ‘clogged’, but not Premax Original. It wipes off clean, so you can hit the running track, field, court or office without needing to shower again after treatment. 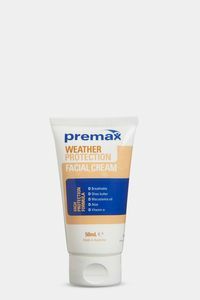 Premax Original will also help keep your skin in great condition. This silky-smooth massage cream blends in Vitamin E, Aloe Vera, Coconut Oil, Olive Oil, Peppermint Oil, and Lavender Oil - that’s unique for a massage cream, so your skin will thank you! How should you use Premax Original? Premax Original is extremely long lasting. You don’t need much for each treatment, just enough to cover 2 finger tips should last an entire treatment on a small area of smooth, well hydrated skin such as the neck. This firm resistance cream is ideal for massage of isolated areas such as the neck, gluteals, lower back and for hand therapy. If you’re looking for a product with more glide and slip, please consider our Essential Massage Cream, Arnica Massage Cream, or Massage Lotion. Premax Original combines Beeswax, Lanolin Wax, Aloe Vera, Vitamin E, Magnesium, Castor Seed Oil, Sweet Almond Oil, Coconut Oil, Olive Oil, Lavender Oil, and Peppermint Oil. The cream has a light refreshing scent. 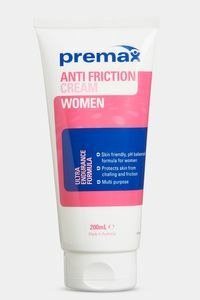 As a Sports Physiotherapist I need products that just work, and Premax Original does it in spades. The texture and traction this cream provides with the ability to wipe it off cleanly make it the only choice for me and my athletes. I've been familiar with Premax products for a long time. 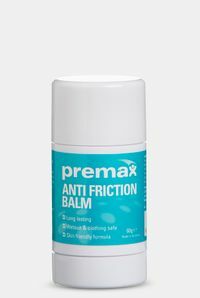 All the sporting teams I've worked with including Australian Athletics, Socceroos, Liverpool Football Club, and the Australian Cricket Team, use Premax. It's everywhere, because it's the best. Fantastic products! Easily warms on contact and spreads easily on the skin. Allows easy manipulation of hands upon the skin and ability to massage the muscles well. Does not dry out quickly and gives brilliant coverage.